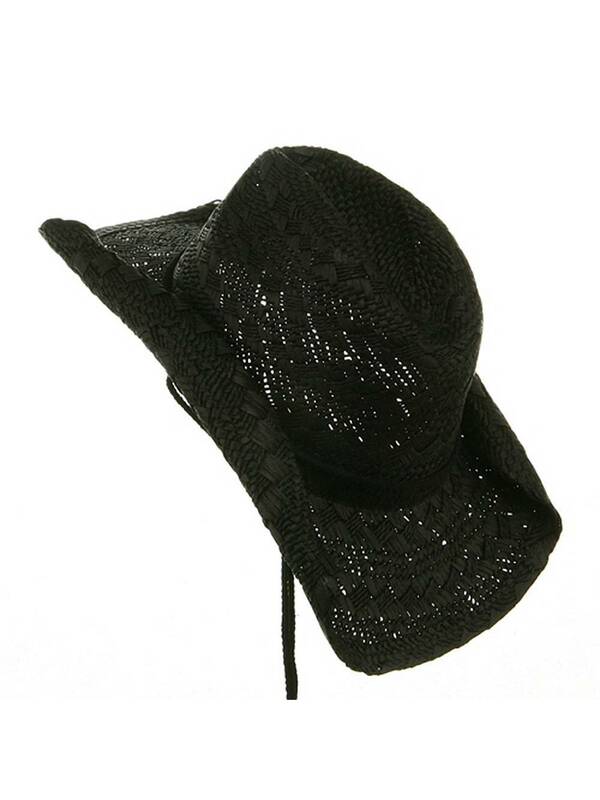 This ladies' cowboy straw hat is made with high quality toyo straw and features a sleek and attractively detailed design with an elastic sweatband. Comes with a matching colored chin cord. ONE SIZE fits most with elastic band inside, fitting up to 7-3/8. Crown measures 4 inches deep, with string tie, wired along the brim. Brim measures 3 1/2 inches wide, shapeable.